CLAYTON, NC – The Clayton Rugby Football Club is pleased to announce that registration is open for the 2nd Annual Bootlegger 10s Tournament. The club plans to expand the tournament this year with the hope of adding a Women’s Division to their Men’s Division. If there is enough interest, an Old Boys Division is also in the plans. The tournament is scheduled for Saturday November 26th which is the weekend after Thanksgiving. Last year’s rendition was a solid first offering with six teams on hand for a fun day of rugby at the end of the Fall season. The Bootleggers are adding a second field for the tournament this year which allows the club to expand their divisions. Southern Pines brought home the inaugural Bootlegger 10s title after toppling ECU in the Championship. 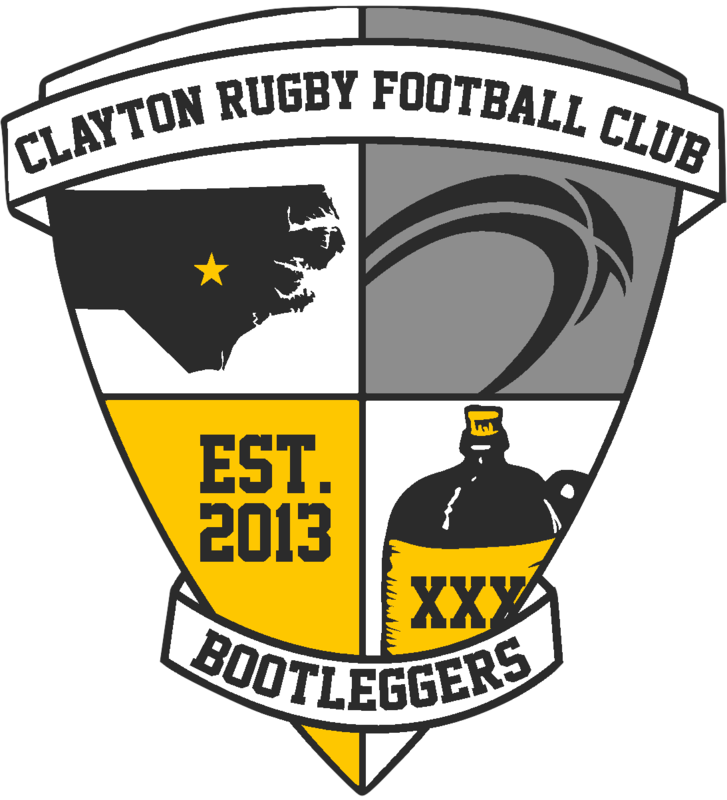 Since launching the Bootlegger 10s last Fall, the Clayton RFC has added the CottonTown 7s to their tournament offerings. The club is building event hosting experience one event at a time and each event they host gets a little stronger. 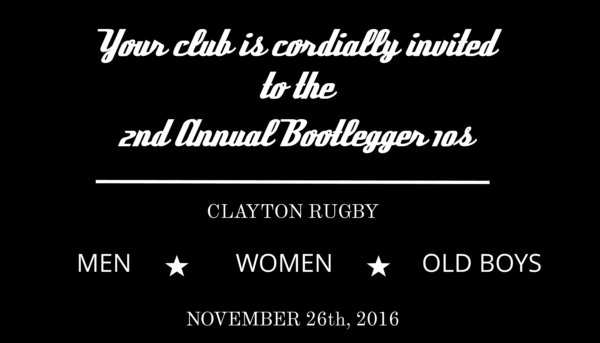 The 2nd Annual Bootlegger 10s is Saturday November 26th, 2016 at East Clayton Community Park in Clayton, North Carolina. For more information or to register your team, please contact the Clayton RFC at claytonrfc@gmail.com or visit the registration page. Team slots are expected to fill up fast, so lock in your registration early.